The content below is reproduced verbatim. It has not been edited for style or content. 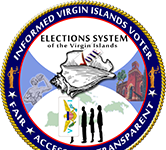 The Virgin Islands public has been informed that there were recent arrests of three individuals on corruption charges involving the alleged misuse of over $2 million in federal funds associated with the REAL ID program. The individuals arrested, of course, will have their day in court and are entitled to the presumption of innocence. In general, corruption arrests are welcomed but these few are likely just the tip of the iceberg. As long as we have corruption unabated in our islands, our economy will never improve and progress. Many studies have established that corruption has detrimental effects to an economy as it deters investments and economic development. Fighting corruption requires not only significant manpower, but also advanced technology. The sooner criminal acts are detected and investigated, and charges filed, the easier it will be to collect the money improperly taken and punishment be meted out to the wrongdoer. If not, Virgin Islands residents are the losers. The alleged misuse of money pertaining to the REAL ID program stems all the way back to 2008, yet nine years later, we are hearing of arrests. If there was wrongdoing, will we ever get any of that money back? Moreover, of great concern is what was done with all the private information that was collected from Virgin Islands residents for this program – such as passport numbers, social security numbers, and dates of birth? Was this information secured or passed on unbeknownst to us to others? Will this issue also be a part of the investigation? The repercussions to us innocent residents are significant. As states throughout the United States and countries throughout the world look at ways to effectively fight corruption, those that are at the forefront of the fight will see the positive results because of the monies and efforts expended. Without a comprehensive plan with policies and procedures to fight corruption, we are losing the battle in the Virgin Islands. A central theme of my governorship will be to transform the inner workings of our government. Chief among this will be to root out corruption, past and present, prosecute wrongdoers, and collect what is owed to the people. My wife and I have visited St. Croix many times over the past seven years and have been following the crime situation in the Virgin Islands and elsewhere in the Caribbean for many years now. We have come to love St. Croix and embrace its traditions and culture and, most importantly, its people. Now approaching our retirements and currently closing on real property in St. Croix, we are betting on the goodness of our future fellow St. Croix islanders and believe that justice will prevail. We are betting. We are taking a chance. 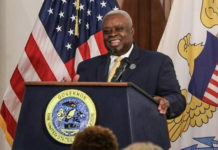 It is our position that in order for St. Croix to rise above the corruption and return the island to firm fiscal footing, St. Croix islanders must re-commit themselves to making examples of those whom would defraud and outright steal from their fellow islanders. Those arrested should be prosecuted to the fullest extent of the law and, if found guilty, convicted and sentenced without hesitation in the harshest ways possible. Soraya Diase Coffelt, are you that Sheriff? We hope so – we are betting on it!! !